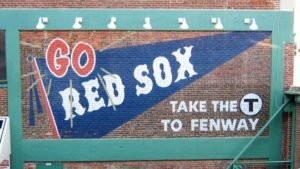 Most everyone who goes to Red Sox games has two recommendations for the best way to get to Fenway Park: don’t drive, and take the “T”. 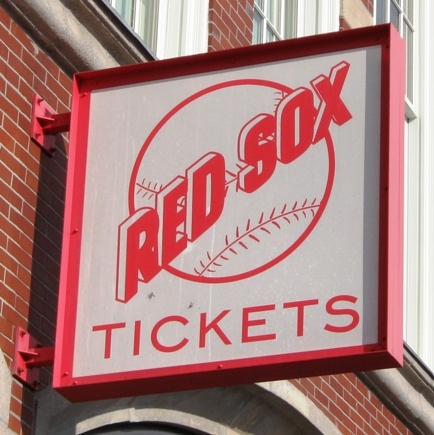 Driving to and parking at Fenway Park can be done, but it can be a struggle to find affordable parking close to the ballpark, and even if you do, getting out will take some time. In some places you’re at the mercy of someone who has parked you in, never a good thing. Unless you’re familiar with the area, you’re much better off using the “T”, as Bostonians refer to it. Still the easiest way to get to Fenway Park. 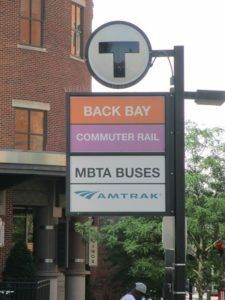 The Massachusetts Bay Transit Authority (MBTA) operates several subway lines across the city of Boston proper, and they are among the cleaner and more efficient of big city transit systems. There are four color-coded subway lines; the Red, Blue, and Orange Lines all connect with the Green Line at some point, which in turn takes riders to the Kenmore Station, a short stroll over the Massachusetts Turnpike to Fenway Park. The Green Line has four separate routes: B, C, D and E, all of which end at different stations. All but E stop at Kenmore and will get to Fenway Park; the E train veers off north of Kenmore but stops at the Prudential Center, which is about a ten block walk to the ballpark. Because, see, you CAN’T take the E trolley to Kenmore Station. That’s why you shouldn’t. The D route also stops at a “Fenway” Station; this is not terribly far from the ballpark but is not the actual Fenway Park station. This may be for the benefit of Yankees fans, to wear them out before the game. You should take the T for no other reason than to share the Fenway experience. On game days the Green Line becomes sardine-packed with Red Sox fans heading to Fenway, and after games trains become similarly crowded. But this is of no nevermind to Red Sox fans, many of whom were smart enough to stay slim in order to fit into the Grandstand seats anyway. A member of Red Sox Nation has no problem sharing a small space with a fellow member in good standing. If you’re looking for more spacious alternatives, you could use the E route on a nice day if you don’t mind the walk, which would keep you out of the standing room only crowd that only knows to not use the E.
Or you could use the Orange Line and get off at the Back Bay Station—this is a few blocks east of the Prudential Center. Avoid all those crowds at the Front Bay. That one’s a hike, but you can get a good look at a beautiful city along the way. Or (surprise!) use the much less crowded Commuter Rail to Yawkey Station, which could possibly be the second best way to get to Fenway Park. A ride on a T train is $2.25 as of this writing (not counting a Commuter Rail ride); it’s cheaper for seniors and students and free for children 11 and under riding with an adult. So a ride to the park and back is $4.50 a person, plus whatever you may pay for a park-and-ride lot (somewhere around $7). That’s the other thing that makes the “T” the best way to get to Fenway Park…it’s cheap. Considering that some nearby places charge upwards of $50 for parking and the traffic you will encounter, Boston is one baseball city where public transportation is a better option, even more so than Chicago, Washington or New York. Using your car isn’t usually the best way to get to Fenway Park. Especially if it’s your first visit, don’t drive unless you have to. Use the T.